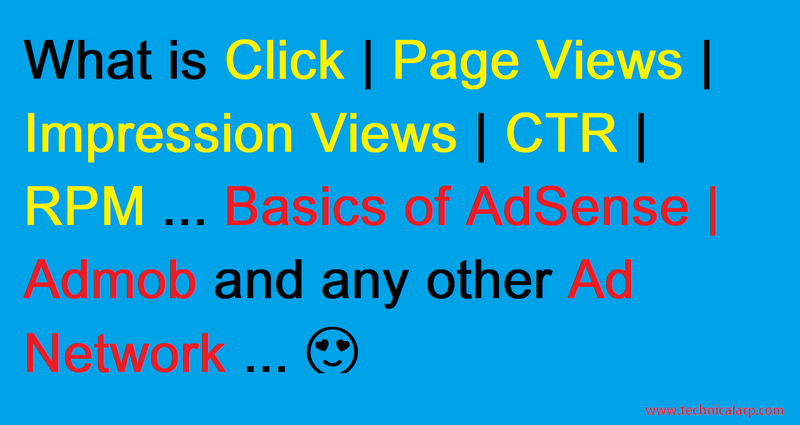 HEY, Guys What is CTR, RPM, CPC page Views, Impression and How much it is Safe for AdSense or Admob? 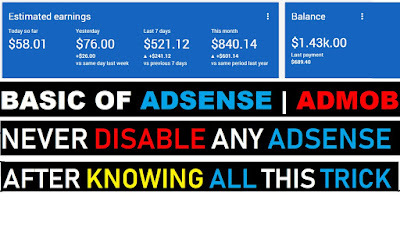 Before starting to know How to Earn From AdSense and Ad Network you Must know some Basics and Very Important Terms used in it. Read this Full article or You can simply watch Video if you know Hindi 😎. If you don't know where all this appears? 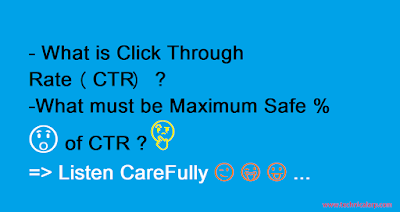 So this all terms What is CTR | RPM | CPC ... appears in your AdSense or Admob Reports or any other ad Network. Why this Appears? Because report shows all the details of your ads and uses their Basics Terms to Show it properly. As Name Suggest Clicks are nothing but Clicks on your Ads. How much people click on your ads are shown by Click Report. 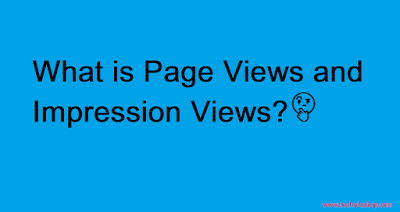 Amount of page viewed by a user of your Site or App is shown by Page Views. 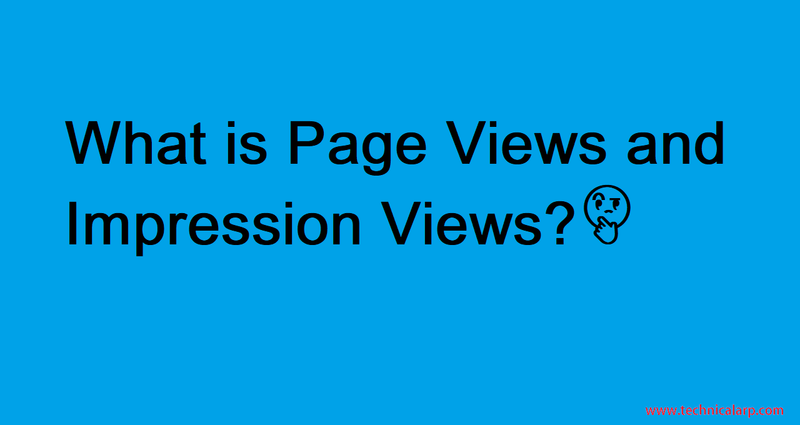 If 1 page is Refresh by 10 Time your Page view becomes 10 that is 10 time that page is been Viewed. So Basic How many time ads are shown is Impression. 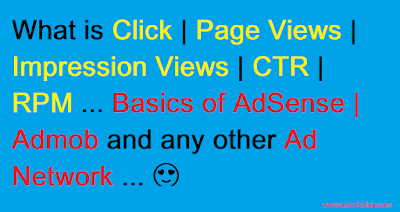 CTR is the most Important term in AdSense and also it is one of the major reason for Disable of your Account. So Understanding it properly [ Watch Video - Place above ]. It is the Ratio of Clicks and Impression. It is expressed in terms of Percentage %. CTR is a Percentage of Number of ads Click Divided by Total Number of Impression (Ad Views ). 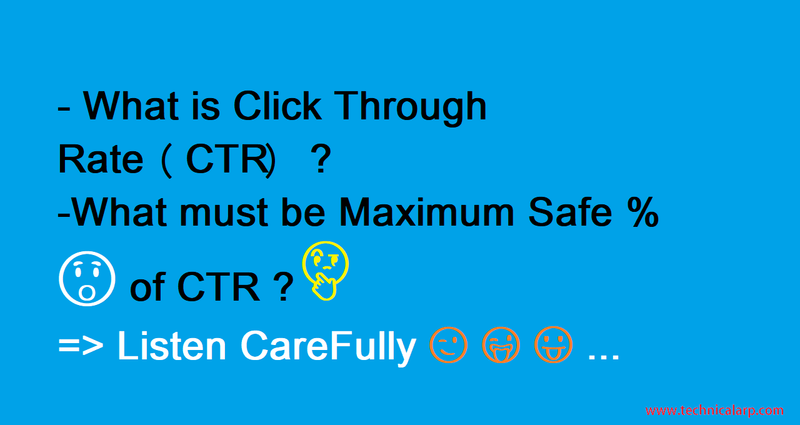 Now How much CTR is Safe for AdSense account? It must be less then 4 - 5% and if it is 2 - 3% then it is Awesome but should not be Greater then 9-10 %. If it is more than Google think You are paying someone to click on your ads and this is against Google Policy. Watch Above Video for more Details. CPC shows How Much you Earned by each Click on Your Ads. CPC is the cost that Google gives you for each click on your ads place in your Site or App. Cost of each click is always different and CPC shows an average of it. It is not in our hands Google and Advertisers Company Decide it. How many I got on my 1000 Impression or 1000 Page Views? 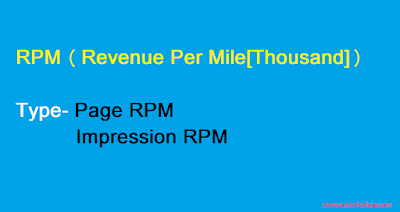 The answer is RPM ( Revenue Per Thousand ). 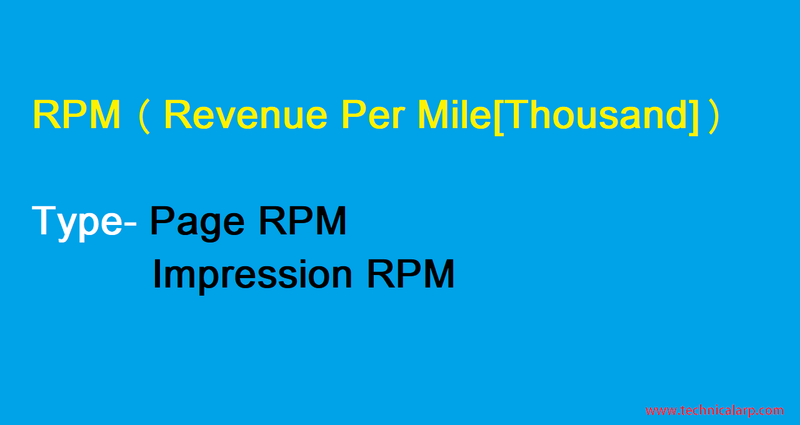 So it is Divided into 2 types Page RPM and Impression RPM. I Hope by reading this Article or watching Video of Mine. 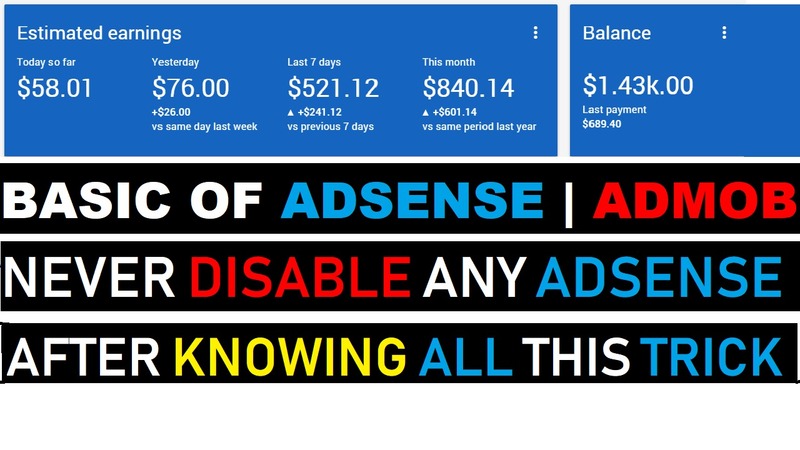 You got all these Basic Terms Used in AdSense.